According to a report by the U.S. House of Representatives’ Committee on Education and Labor, a staggering 69 percent of all workplace injuries and illnesses may not be represented in the Bureau of Labor and Statistics Survey of Occupational Injuries and Illnesses, which many trust as a gauge of the safety of American workplaces. On a corporate level, not reporting or underreporting workplace injuries can have serious ramifications for the organization and the employer, which can include fines, exorbitant and unnecessary, health costs and more. Research has found that the employer’s behavior, policies and attitude are key determinants in a worker’s decision to report an injury. Not only is it essential that employees are educated on the importance of reporting injuries, it is also important to examine your company policies so you are not inadvertently discouraging reporting. The consequences of underreporting can be severe. The unfortunate trend of injury underreporting can have serious ramifications at both the industry and company level. Widespread underreporting can be quite damaging to workers’ compensation rates on a large scale. Employers may not realize it, but such an underreporting problem may lead to more audits by insurance companies of their clients and higher rates for everyone. Many employers erroneously believe that reporting injuries leads to audits and higher rates. 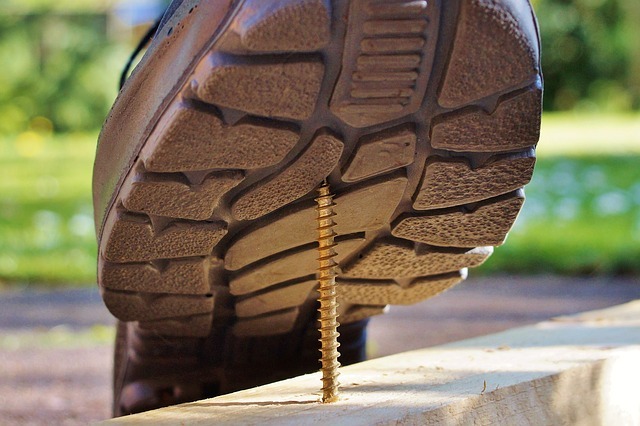 At the company level, underreporting injuries can be quite costly for the employer. If it is an OSHA-reportable incident, the employer may face significant fines if it is not properly recorded or reported. In addition, often when an injury isn’t reported or properly cared for immediately, it worsens and leads to higher health care costs and more lost time. Even if it is never reported as a workplace injury, the employer still loses out on health care costs and productivity. If it is eventually reported, it becomes much more difficult to prove that it was workplace-related. Additionally, a study reported by the Hartford Financial Services Group found that injuries reported four or five weeks after the incident are 45 percent more expensive than injuries reported within the first week due to increased health costs and possible legal fees, or even a lawsuit, associated with late reporting. One of the best ways to control workers’ compensation costs is through early reporting and intervention. Not only will it save money in health bills and legal fees, but it will also help to constantly improve your safety program. When there is an injury, consider it an opportunity to examine current safety procedures and decide if there is a suitable change that could be made to prevent similar injuries in the future. Thus, prompt reporting can be a productive element to your safety program in your quest to always strive for the safest work environment. Rather than accepting a vicious circle where injuries are not reported and thus nothing is done to fix the problem, leading to more injuries, take advantage of injury reporting as a proactive solution to safety. There are several reasons why employees may not report injuries immediately or at all. Incentive programs: Many employers have reward or incentive programs to promote their safety initiatives, such as rewards for going a certain number of days without an injury. This can create a negative attitude toward reporting an injury, since doing so could cost that employee, a co-worker or a superior a reward or bonus. Having incentive programs are a good idea, but a more effective strategy is to reward positive, safe behaviors. This can include reporting a safety hazard, attending a safety meeting or training class or equipment maintenance. Rather than rewarding for days without an injury, reward behaviors that strive to avoid injury, or even reward employees for prompt reporting when an injury occurs. Fear of negative ramifications: Some employees fear that reporting an injury will create an image of them as weak to their co-workers and managers. He or she also may fear that such an image will be a detriment to his or her career. Dispel this fear by assuring all employees that reporting an injury will have no negative impact on their job, and ensure follow through on all levels of the company. Work to promote a safety culture where prompt injury reporting is encouraged and praised. Injury reporting should never be frowned upon, even subtly or behind closed doors. If employees find out you are angry about a reported injury, he or she is less likely to report an injury in the future. Some companies have a policy mandating drug testing after any incident whether or not there is evidence of drug use. This deters some employees from reporting injuries as well. Consider making the drug testing conditional depending on the circumstances of the injury and whether there is evidence that drug use was a factor. For more information about injury reporting or your company’s workers’ compensation and safety programs, please contact Scurich Insurance at 831-661-5697 today. 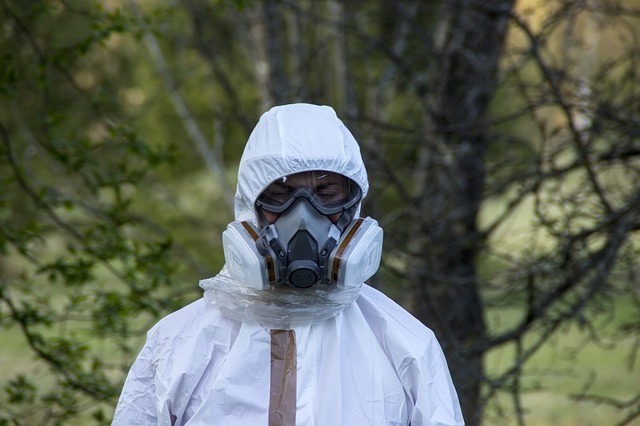 Following the Hazardous Waste Operations and Emergency Response (HAZWOPER) requirements and regulations not only protects the health and safety of your employees, but it also saves you from expensive litigation you could face if you accidentally expose the outside environment and nearby residents to the potentially hazardous toxins on the worksite. Officials from the Occupational Safety and Health Administration (OSHA), the U.S. Environmental Protection Agency (EPA) and the National Institute for Occupational Safety and Health (NIOSH) all have input on HAZWOPER’s regulations because of the widespread effect hazardous waste has on the population as a whole, not just the industries’ workforces. This document will help you understand the basic requirements of HAZWOPER and determine whether you are in compliance. For a complete list of HAZWOPER requirements or to read the standard in its entirety, visit www.OSHA.gov and search HAZWOPER (Standard 29 CFR 1910.120). This standard provides specific safety regulations, emergency procedures and training guidelines for employers to follow at worksites that handle hazardous waste or who have the potential for accidental release of dangerous chemical substances. HAZWOPER’s main goal is to get employers to think about how they would handle a spill before it occurs. HAZWOPER sets five basic training levels related to chemical emergency response, and training requirements for these five groups vary depending on how closely they work with the hazardous material spill. All training must be completed upon hiring for any employee that is expected to participate in emergency response. Some important notes on training regulations in the HAZWOPER standard are that measurements of a qualified trainer can be met by academic degrees, completed training courses and/or work experience. Also, HAZWOPER specifically addresses the use of video or online training to satisfy requirements, saying that computer-based systems are an incomplete solution and must be supplemented. For more information on how you can further implement HAZWOPER loss control methods, contact Scurich Insurance. An effective accident prevention program requires proper job performance from everyone in the workplace. As an owner or manager, you must ensure that all employees know about the materials and equipment they work with, known hazards and how to control those hazards. No employee is expected to undertake a job until he or she has received proper job instructions and is authorized to perform that job. No employee should undertake a job that appears unsafe. You may be able to combine safety and health training with other training sessions, depending upon the types of hazards present in your workplace. Ask your OSHA state consultant to recommend training for your worksite. The consultant may be able to conduct training while he or she is there. Make sure you have trained your employees on every potential hazard that they could be exposed to and how to protect themselves against those hazards. Then, verify that they really understand what you taught them. Pay particular attention to your new employees and to employees who are moving to new roles within the organization. Since they are learning new operations, they are more likely to get hurt. Train your supervisors to understand all the hazards faced by the employees and how to reinforce training with quick reminders and refreshers, or with disciplinary action, if necessary. 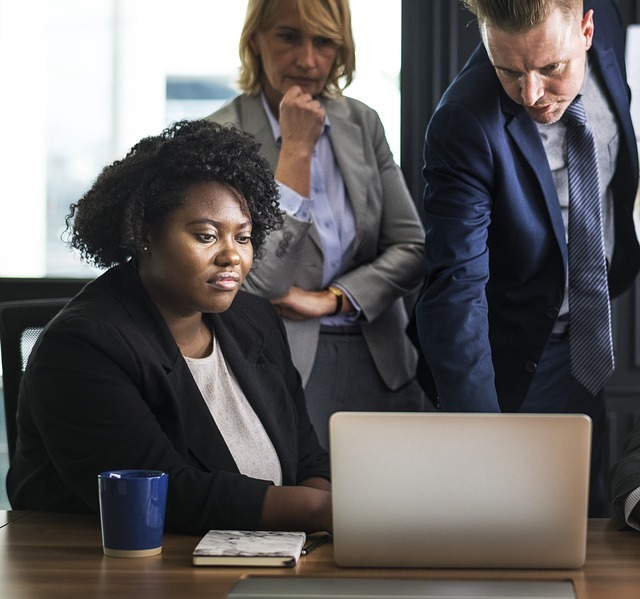 Make sure that your top management staff understands their safety and health responsibilities and how to hold subordinate supervisory employees accountable for their actions. Any reporting entity subject to the electronic reporting requirement to file corrected information returns electronically, regardless of the number of corrected information returns being filed. This proposed rule would impose mandatory electronic filing for significantly more reporting entities. According to the IRS, most forms are currently filed electronically. However, employers that don’t currently file electronically with the IRS should evaluate the number of information returns that they file to determine how this new standard could affect them. Existing IRS rules require reporting entities that file 250 or more information returns to file electronically. However, this 250-return threshold applies separately to each type of return. This means that each type of return is counted separately and not aggregated when determining whether the 250-return threshold applies. Forms in the 1099 series. When the electronic filing rules were originally established, electronic filing was in the early stages of development and was not as commonly used as it is today. However, according to the IRS, significant advances in technology have made electronic filing more prevalent and accessible, in many cases making it less costly and easier for reporting entities than paper filing. The IRS asserted that most information returns are already filed electronically (approximately 98.5 percent in the 2016 tax year). As a result, the IRS no longer believes that determining the 250-return threshold on a form-by-form basis without aggregation is necessary to relieve taxpayer burden and cost. Due to these advances in technology, the proposed rule would require reporting entities to count all information returns, regardless of type, to determine whether they meet the 250-return threshold and, therefore, must file the information returns electronically. Specifically, under the proposed rule, a reporting entity that is required to file a total for 250 or more information returns of any type covered by this rule during a calendar year will be required to file those information returns electronically. Example: Company W is required to file 200 Forms 1099–INT (Interest Income) and 200 Forms 1099–DIV (Dividends and Distributions), for a total of 400 returns. Because Company W is required to file 250 or more returns covered by this rule for the calendar year, Company W must file all Forms 1099–INT and Forms 1099–DIV electronically. Corrected information returns are not taken into account in determining whether the 250-return threshold is met under the proposed rule. However, the proposed rule would also require corrected information returns to be filed electronically if the original information returns were required to be filed electronically. 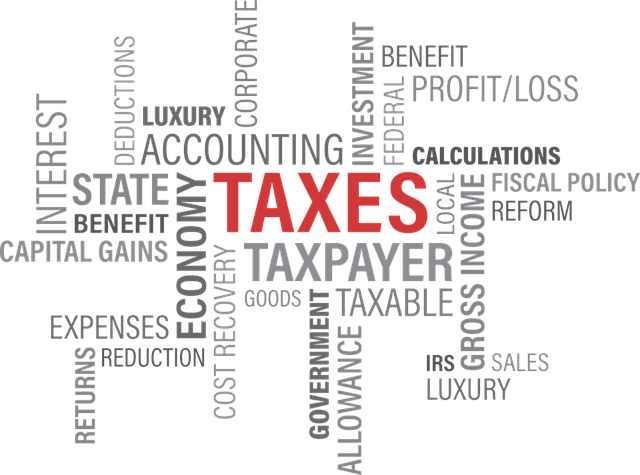 According to the IRS, this rule change would help facilitate efficient and effective tax administration. However, the rule change would require significantly more reporting entities to file information returns electronically with the IRS. Often, this involves working with a third-party service provider that offers information return preparation and electronic filing. Notably, though, the proposed rule does not change the existing regulations allowing reporting entities that are required to file returns electronically to request a waiver of the electronic filing requirement. As a result, electronic reporting waivers will still be available for reporting entities that properly request them. Electronic reporting waivers are intended to relieve the burden on reporting entities that lack the necessary data-processing capabilities or access to return preparers and third-party service providers at a reasonable cost. Corrected information returns filed after Dec. 31, 2018. Most of the technology used in autonomous vehicles is an evolution of common safety features that use vehicle-mounted cameras and sensors, such as automatic brakes, lane departure systems and blind spot alerts. However, self-driving technology takes this concept a step further by having these systems work together to perform some or all driving functions. Level 0: No automation – The driver performs all driving tasks, but automated system issue warnings may be present. Level 1: Driver assistance – The vehicle and driver may share control in limited circumstances, such as adaptive cruise control and parking assistance. However, the driver must be ready to retake control at all times. Level 2: Partial automation – The vehicle has combined automatic functions (such as controlling acceleration and steering simultaneously), but the driver must be constantly engaged and aware of the surrounding environment. Level 3: Conditional automation – A driver must still be present, but doesn’t have to monitor the environment. However, they must be ready to take control at all times and with no notice. Level 4: High automation – The vehicle can perform all driving functions under certain conditions, and switching control back to the driver may be optional. Level 5: Full automation – The vehicle can perform all driving functions at all times. How Can Self-driving Trucks Help Carriers? Safety – Properly functioning self-driving systems operate without the chance of human error and can react to changing traffic patterns faster than a regular driver. Driver shortage – Regulations likely won’t allow vehicles to operate without a driver in the near future. However, the technology will attract applicants who don’t want to spend long stretches of time in full control of a commercial truck. Increased efficiency – Autonomous technology can give carriers real-time information on location, maintenance status and traffic patterns in order to increase efficiency and better manage fleets. 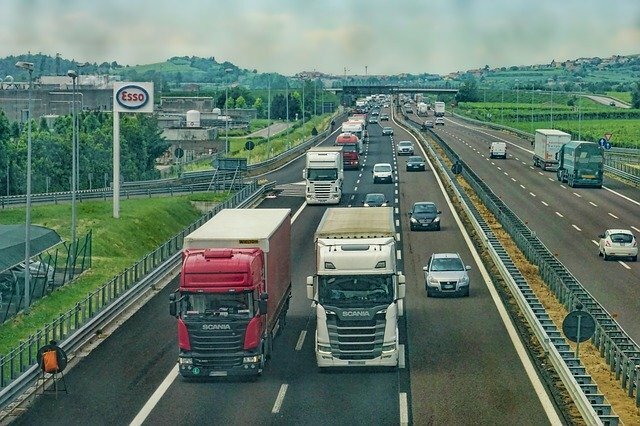 Cost reductions – Motor carriers can reduce costs by sending autonomous trucks on more fuel-efficient routes or by platooning the vehicles together to reduce air drag. What Risks Does This Technology Present? Public perception – Advanced sensors generally make self-driving trucks safe, but recent high-profile collisions and fatalities during tests have lowered the public’s opinion of the technology. Long-term employment – Autonomous technology will help to attract new drivers in the near future, but some experts believe that fully independent vehicles may someday eliminate millions of jobs. Liability – The liability of an accident involving human-driven vehicles is fairly easy to judge. However, self-driving trucks bring a nonhuman factor into the equation that makes it difficult to determine if an operator, technology developer, manufacturer or other party is at fault for an accident. How will motor carriers ensure automatic systems are functioning properly? What changes, if any, should be made to distracted driving regulations? How will enforcement officials determine a vehicle’s SAE classification level, and would easily identifiable classification signage negatively affect other drivers? How should a driver’s hours of service be recorded when using an automated driving system? As self-driving vehicles continue to develop, your business should carefully consider how both the advantages and risks of this new technology will impact its operations. Contact us at 831-661-5697 today for help analyzing your unique risk exposures. On May 21, 2018, the U.S. Supreme Court ruled that employers can use arbitration clauses in employment contracts to bar employees from filing class-action lawsuits related to wage and overtime claims. In a 5-4 split decision, the court determined that employment agreements can require arbitration, waiving the employee’s right to participate in a class-action lawsuit, to settle these disputes. This ruling is a departure from the position taken by the Obama administration and the National Labor Relations Board (NLRB). Instead, the decision favors employers and follows President Donald Trump’s position on federal employment law that employers are entitled to waive their employees’ right to file class-action lawsuits under the Federal Arbitration Act (FAA). As a result of this ruling, employers are now free to include clauses in employment contracts requiring the use of arbitration to resolve wage and overtime claims, and barring class-action lawsuits related to these matters. The ruling can protect employers from costly litigation, but critics argue that it could allow employers to escape liability for labor law violations. Arbitration is a private method of dispute resolution that is used as an alternative to court action, where an impartial third party makes a binding decision on the matter, rather than a judge or a jury. 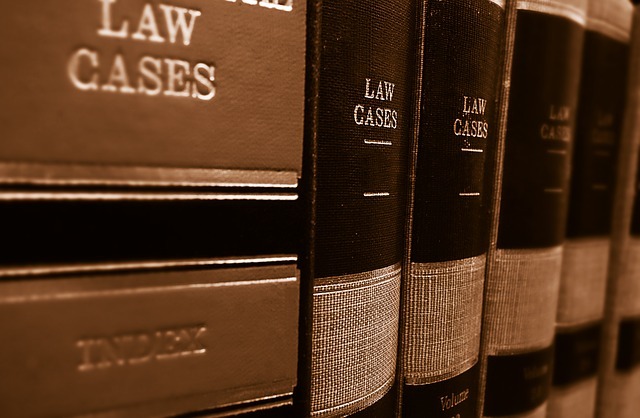 Historically, arbitration has been used in a wide variety of disputes as a cost-saving measure to avoid the burden and expense of litigation. Mandatory arbitration clauses have become increasingly common in many types of contracts and agreements, especially among large corporations and in consumer transactions. However, courts have had to impose certain limits on the use of these types of clauses, particularly in situations where one party has more bargaining power than the other. Federal labor law is conflicting on the issue of mandatory arbitration in employment agreements. The National Labor Relations Act (NLRA) guarantees employees’ right to collective action, while the FAA encourages the use of arbitration agreements and generally requires courts to enforce these provisions as written. The court ruled that arbitration clauses in employment contracts that waive the employees’ right to participate in class actions are lawful and enforceable. Historically, courts and the NLRB agreed that arbitration agreements are enforceable. In 2012, however, the NLRB took the position that arbitration clauses in employment agreements that include class-action waivers violate the NLRA. As a result, the NLRB pursued and invalidated arbitration agreements and policies used by many employers. The Obama administration sided with the NLRB, arguing that the NLRA essentially invalidates the FAA in the context of labor disputes. The case before the Supreme Court—Epic Systems Corp. v. Lewis—combined three separate lawsuits involving employees who entered into employment agreements requiring arbitration, but still sought to participate in class-action lawsuits over state and federal employment law claims. The lower federal courts were split in their rulings, and the Supreme Court was asked to resolve this conflict. Although the FAA generally requires courts to enforce arbitration agreements as written, the employees argued that this obligation is eliminated if an arbitration agreement violates some other federal law, and that their employment agreements violated the NLRA by requiring individualized proceedings. Their employers, however, argued that the FAA protects agreements requiring arbitration from judicial interference, and that the NLRA does not change this requirement. The majority on the Supreme Court sided with the employers, following their long practice of limiting class actions and favoring arbitration over litigation. The court ruled that arbitration clauses in employment agreements that waive the employees’ right to participate in class actions are lawful and enforceable. The Supreme Court’s ruling only impacts non-unionized employees, and does not affect employees represented by labor unions. As a result of the ruling, employers are now free to include clauses in employment contracts requiring the use of arbitration to resolve wage and overtime claims, and barring class-action lawsuits related to these matters. Following the Supreme Court’s ruling, the NLRB indicated that it intended to follow the decision. According to the NLRB, it currently has 55 pending cases with allegations that employers violated the NLRA by maintaining or enforcing individual arbitration agreements or policies containing class- and collective-action waivers. The NLRB now intends to quickly resolve those cases in accordance with the Supreme Court’s decision.